Have you ever run your dishwasher and had an ominous smell come from it and you just knew you’d melted something plastic by mistake? This is exactly what happened to me the other day. I opened the dishwasher door and found that a little plastic lid had slipped down from the top rack and melted onto the heating element at the bottom of the dishwasher. My first reaction was to panic. As you may recall, the dishwasher was a gift from my sister Anne and is far too new for me to have ruined already. I really didn’t want to have to tell Anne that the dishwasher was kaput. I shut the dishwasher door and walked away. Denial is typically how I deal with problems, at least at first. 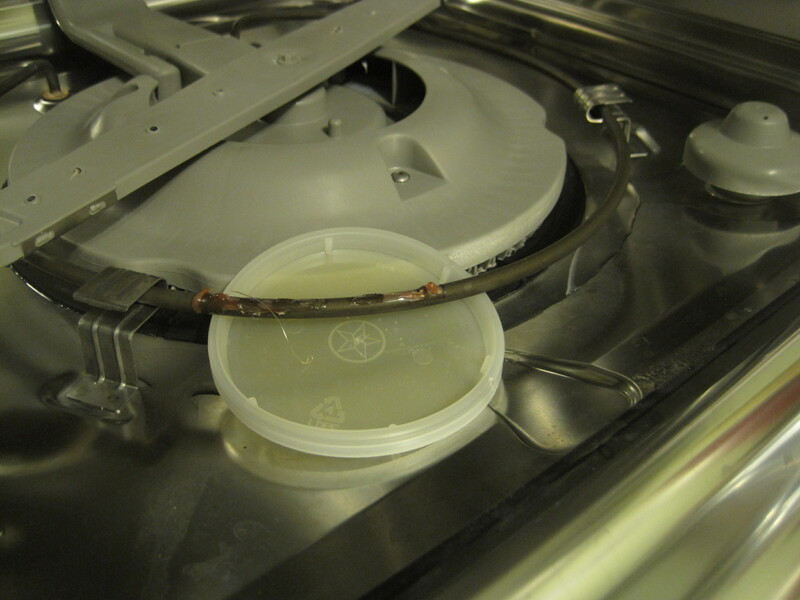 After stealing courage, I opened the dishwasher door and peeled the melted plastic lid off the heating element. It left behind a real mess. You can get an idea of the mess by looking at the remains of the lid. So I broke out my laptop and started searching on the Internet for ways to remove the melted plastic. I ignored the surprisingly numerous methods that involved an open razor blade — yikes. I settled for trying to scrape off the hardened mess with a stiff plastic spatula. 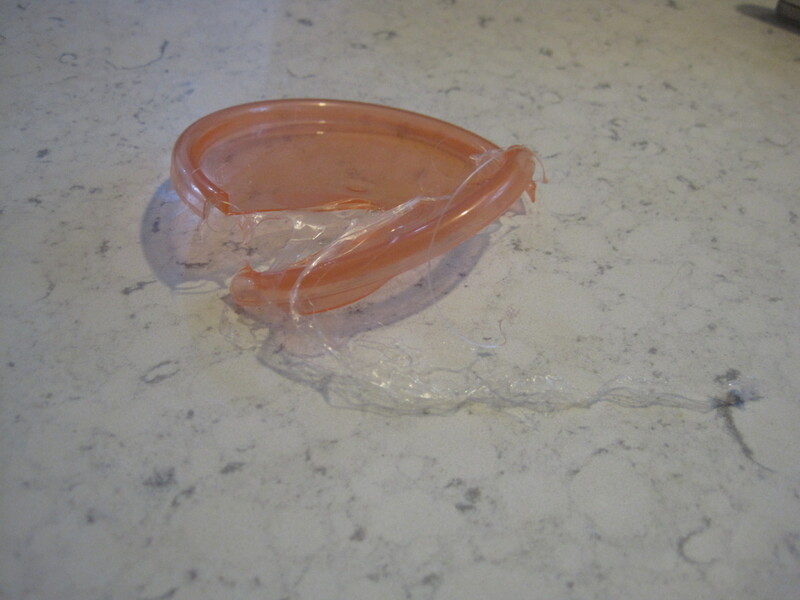 First I shoved a plastic lid (not the remains of the one I’d melted!) under the heating coil to catch the bits of plastic as I scraped them off. 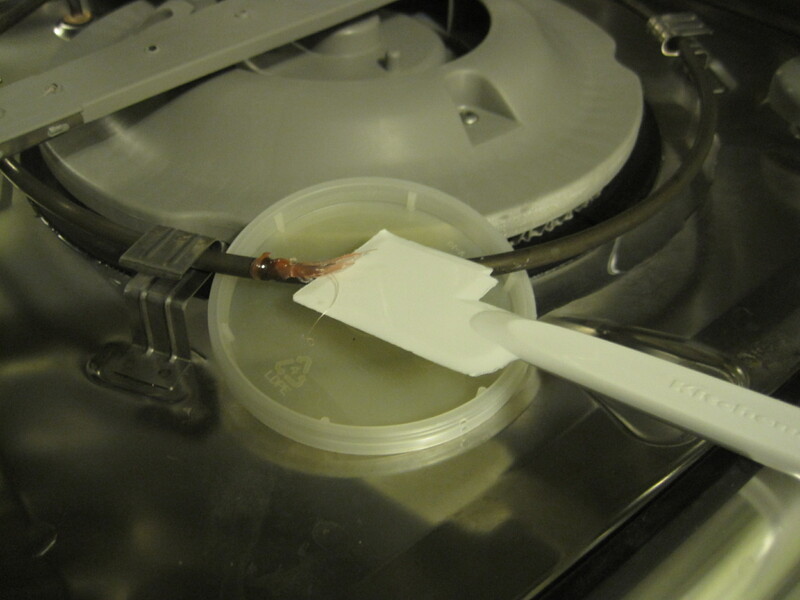 Then I grabbed a very stiff spatula and set to work gently scraping at the plastic. 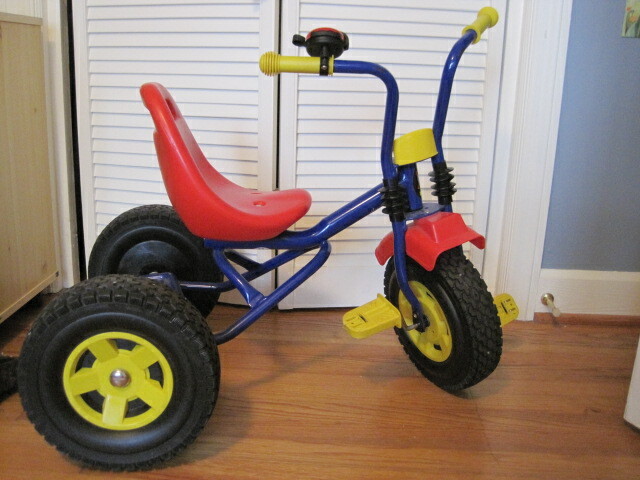 Side note: As many of you know, I have a really hard time getting rid of stuff because of my (usually irrational) fear that I might need that exact thing I’m throwing out or giving away. This particular stiff spatula came with a food processor my sister bought me years ago (are you beginning to the get the feeling that everything in my kitchen was given to me by my sister? That’s not true. My parents and my aunt give me kitchen stuff too). Anyhow, the spatula is ridiculous because it’s so stiff that it does a rotten job completing normal spatula functions. I have considered tossing it many times, but something always held me back. Today I’m here to tell you that when I realized I would need to scrape off the hardened plastic from the dishwasher heating element, I thought of no tool better equipped to handle the job than my otherwise worthless spatula. And now I have given hoarders the world over another excuse to hang on to their junk. You’re welcome. Anyhow, the spatula worked like a champ. The plastic peeled right off. And my idea to use the lid to catch the plastic bits was also genius, if I do say so myself. After I’d scraped off all I could, I ran my fingers along the heating element and felt a tiny amount of residual plastic. So I ran the dishwasher. After it finished the wash and rinse cycles and just as it was beginning the heated dry cycle, I opened the dishwasher door. 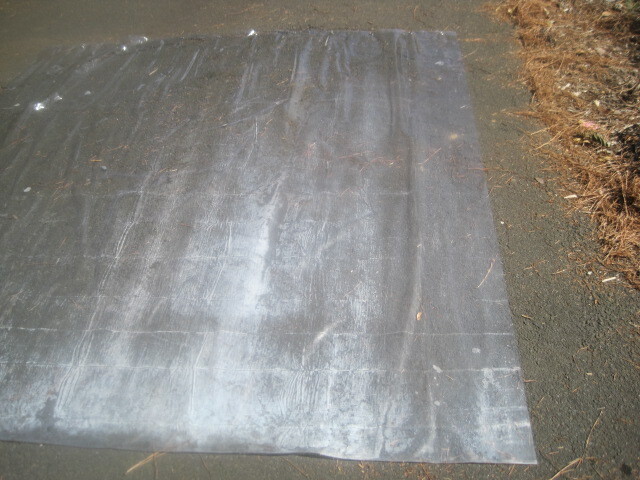 I ran a thick rag along the hot heating element where the plastic had been and wiped up any last remnants. Now I am proud to say that the dishwasher is good as new. Did you get that, Anne? Good as new. I swear. Life has been hectic lately. And by life, I mean my job. 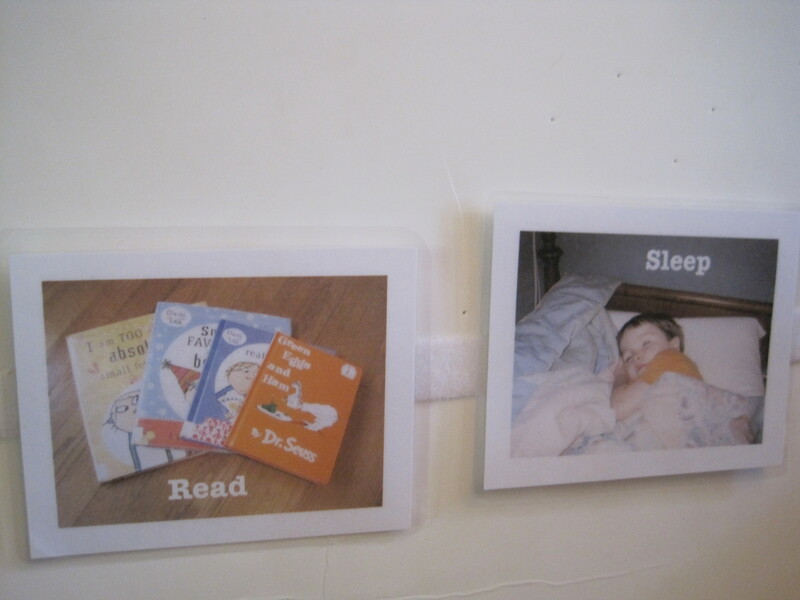 But I also mean life because I seem to do little else aside from my job these days. 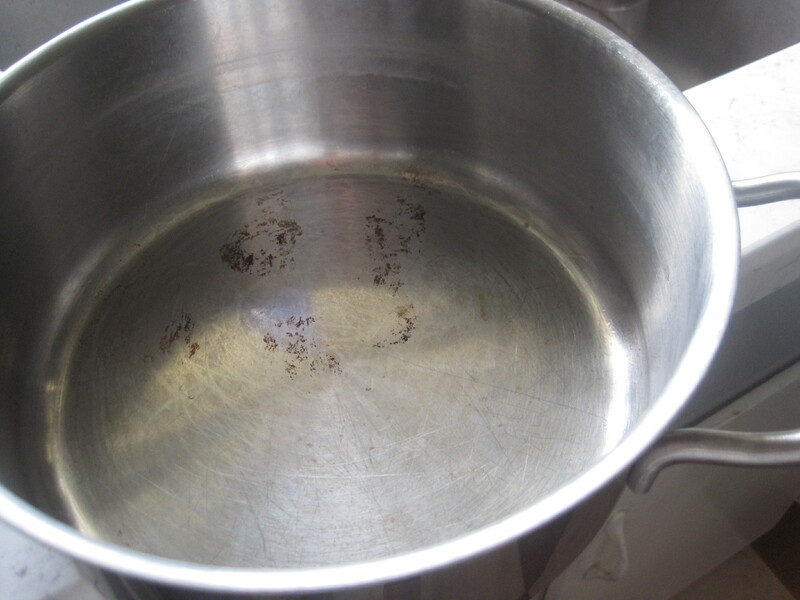 I’ve been putting things off left and right, including cleaning my burnt pot. My mom noticed the pot when she visited for Christmas. At that point it had been burnt for at least a month. 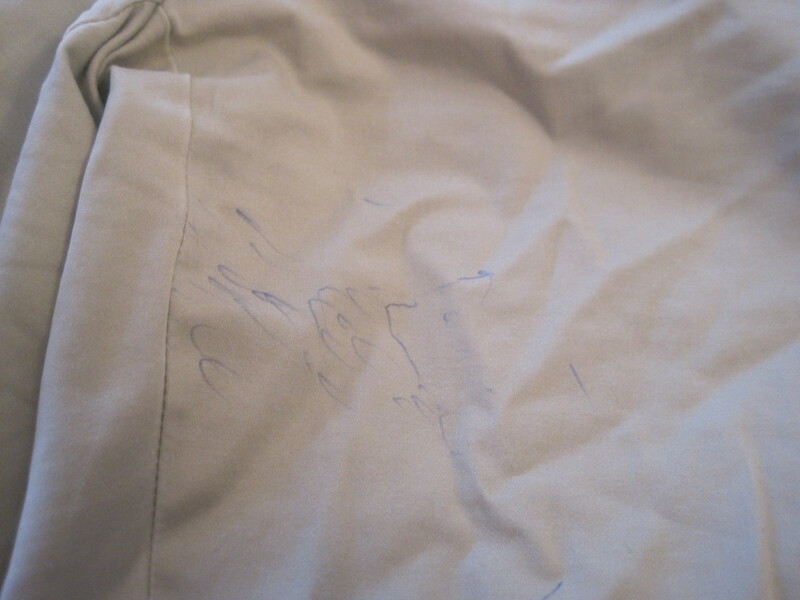 In fact, it’s been burnt so long that I have no recollection of how it got that way. Surely it wasn’t my cooking?! Shortly after my mom departed, she sent me my grandmother’s method for cleaning burnt pots and pans. And a mere three months later, I tried it out. Here’s my beloved sauce pot looking less than pristine. Fill the pot/pan half full with water (if you’ve only just burned the pot, let it cool first). Add 1 Tbsp salt and 1 Tbsp vinegar. Let the pot soak for at least an hour. 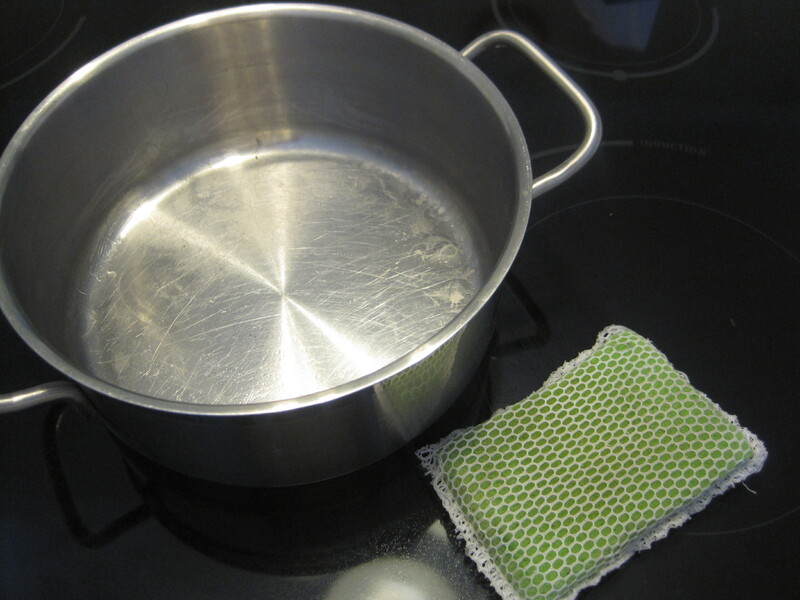 Bring the water mixture slowly to the boil; let boil for 15 minutes. Pour out water mixture (I then allowed the pot to cool slightly). Scrub with steel wool pad. I didn’t have a steel wool pad, so I put a dollop of dish soap in the bottom of the pot and went to work with a regular sponge. It took a little elbow grease, but that pot looks as good as new now. Thanksgiving means a lot of things to a lot of people. While it certainly reminds me to be grateful for all that I have, where it falls on the calendar — near the end of November — never fails to remind me that I need to get my act together and start forcing paperwhite bulbs if I want them to be in bloom for Christmas. Paperwhites produce small, white, intensely fragrant flowers. My grandmother always had paperwhites in bloom for the holidays, so now I’m reminded of her when I grow them; even the smell of them reminds me of her and her house. I’m not sure how much of a green thumb my grandmother had, but it really doesn’t matter because paperwhites are extremely easy to grow. Unlike most bulbs, they don’t require a cold period before they bloom, so you can bring them straight home from the store and begin growing them, skipping altogether that boring period of time where you plant them in the ground and let them hang out all winter before they provide any satisfaction. To grow paperwhites indoors, all you need are a container, some rocks or pebbles, and some water (and the bulbs, of course). Mark bought some bulbs at our local garden nursery for $1 each. We have lots of small rocks that I put aside every time I plant anything outside; our yard, especially in certain places, is very rocky. So whenever I dig up a bunch of rocks, I just toss them into a container and put them in the garage. The red pot in the photo doesn’t have holes in the bottom, which is important to note since the paperwhites will just be sitting on top of the rocks surrounded by water; if the pot had holes in it, well, you can imagine the problem. My rocks were still quite dirty (they had been in the ground, after all), so I gave them a good rinsing. Then I just dumped them in the red pot and nestled a couple of paperwhites on top. It’s important to make sure that the rocks hold the paperwhites in place because as the roots of the bulb start to grow, they may dislodge the bulb. Finally, I filled the container with water so that it just reached the bottoms of the bulbs. Don’t overfill the pot with water because the bulbs could rot. 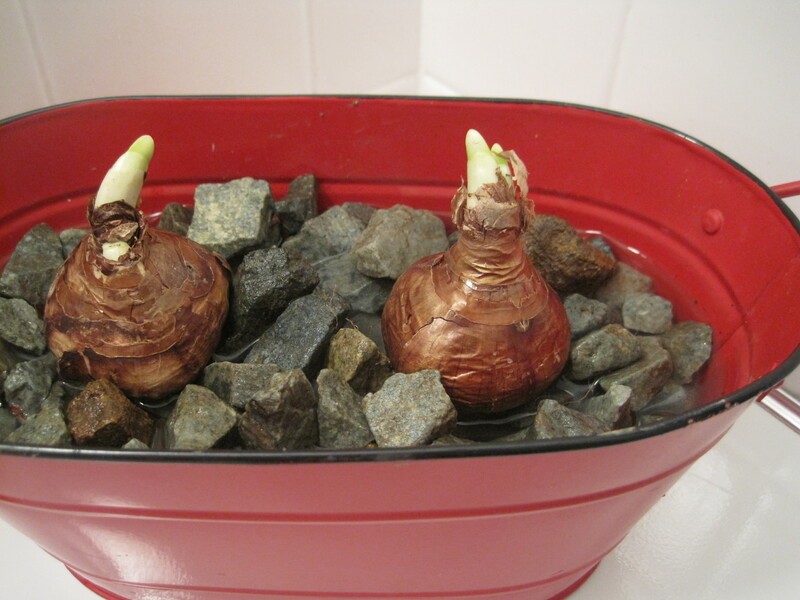 Likewise, don’t let the water level drop below the bottoms of the bulbs because the roots may dry out. You may have noticed in the first photo that Mark bought several more bulbs than the two shown in this photo. While Thanksgiving reminds me that I need to start forcing paperwhites, I am never sure exactly how long it will take for the bulbs to start blooming. There is, in fact, some fairly wide variability. Some bulbs may bloom in as few as three weeks while others may take six. Consequently, I like to stagger my paperwhites to ensure that I have some blooming for Christmas and New Year’s. So after Thanksgiving I’ll get the other few bulbs going in another pot. If you don’t have rocks or a container without holes, you can also plant paperwhites in some potting soil in a regular old garden pot. I’ve done that many times. How you choose to grow paperwhites really comes down to personal preference and convenience. 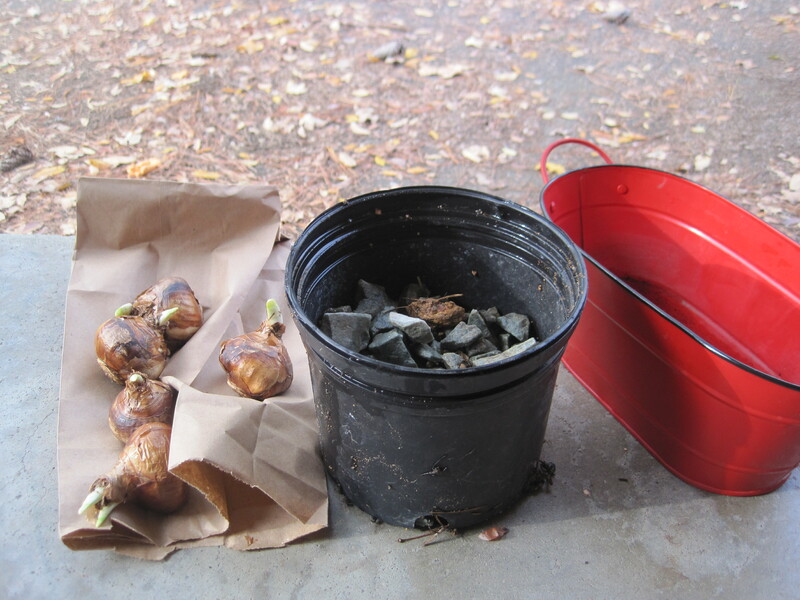 If you go the potting soil route, just water the bulbs every few days or when the soil just starts to get dry. While I love paperwhites, one downside to them is that they can get a bit leggy — long stems and the flowers can grow top-heavy and topple over. 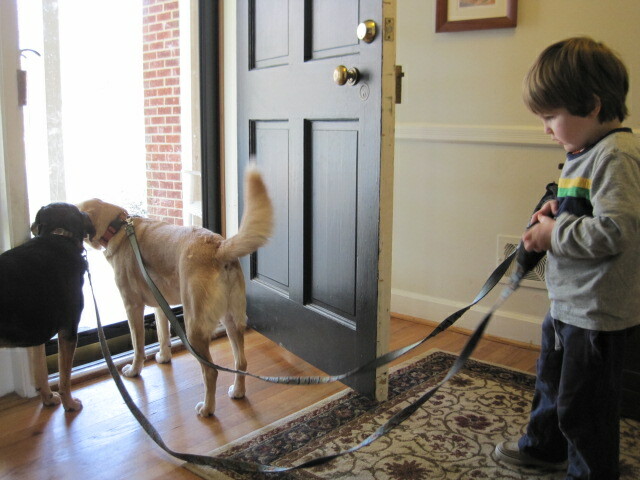 But researchers at Cornell University have solved this problem. Apply a solution of 4-6% alcohol in place of plain water. You can use any hard liquor such as vodka or gin; rubbing alcohol even works and would be a lot less expensive than adding liquor; don’t however, use beer or wine as the sugars are harmful to the bulbs. To achieve a solution of 4-6% alcohol, you need to know how much alcohol is present in the liquor or rubbing alcohol. Generally speaking, hard liquor is about 40% alcohol so you’ll need to dilute it quite a bit. The Cornell researchers recommend using 1 part liquor to 7 parts water. If you choose to use rubbing alcohol, which has a higher concentration of alcohol (usually about 70%), you’ll need to dilute it even more; use 1 part rubbing alcohol to 10 to 11 parts water. Either of these solutions, used in place of regular old water, will stunt the bulb’s growth but will not affect the flowers. Thus, shorter plants are produced that still flower profusely and won’t topple over. Start the alcohol and water solution after the roots have started to grow — usually about a week after putting the bulbs in water. For that first week, use plain water. I’ve never tried this alcohol-induced stunting method, but perhaps this year I will (if I can find some rubbing alcohol in the house; I don’t want to waste perfectly good liquor on my bulbs). A blooming paperwhite would make a fabulous (and inexpensive) small holiday gift for friends, neighbors, and coworkers. You can even be inventive about the container you place them in — a mason jar or big coffee mug would be unexpected and fun. If you start growing some now (and a few more in the next couple of weeks), your timing should be perfect. Our bathroom sink drain has been acting sluggish. 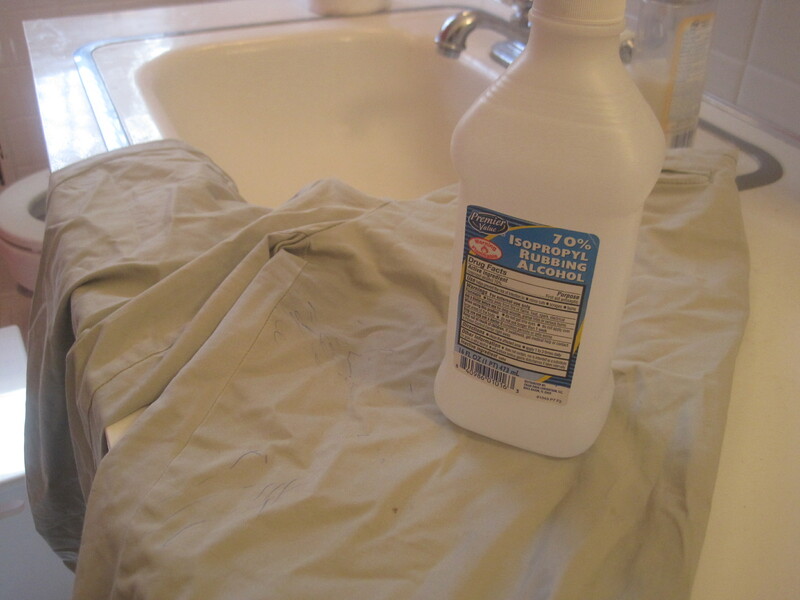 Now that I’ve used vinegar to remove the mold and soap scum on my shower curtain liner, I’m a wee bit excited about the many uses of this inexpensive, non-toxic substance. While staring at our bathroom sink drain, it occurred to me that maybe vinegar could be used to clear it. Sure enough, a quick Internet search revealed that vinegar in combination with baking soda can unclog a drain. Though I found no general consensus as to how much baking soda and vinegar to use, the general idea seems to be roughly equal parts baking soda to vinegar. So based on the instructions I found here, I thought I’d give this unclogging method a try. First, I poured 1/2 cup of baking soda down the drain. Then I added 1/2 cup distilled white vinegar. The mixture immediately began to bubble delightedly. I plugged the drain with a washcloth to keep as much of the bubbly brew in the drain. Half an hour later, I poured about six cups of near boiling water slowly down the drain. The result: although the sink drained, it was more sluggish than before! I consulted the instructions again; they advised that the process could be repeated if the drain hadn’t cleared. 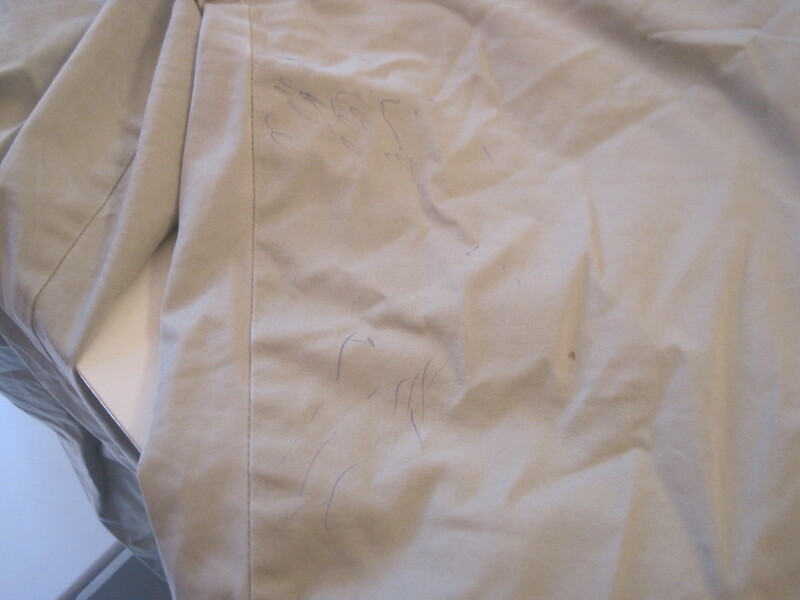 And so I diligently repeated the whole process. But this time, when I poured the hot water down the drain, big bits of black yuck came up out of the drain. Then the sink stopped draining completely. I had half a basin full of very hot water mixed with black yucky bits. I walked away. Ten minutes later, the sink still hadn’t drained. I grabbed our plunger and had at it. 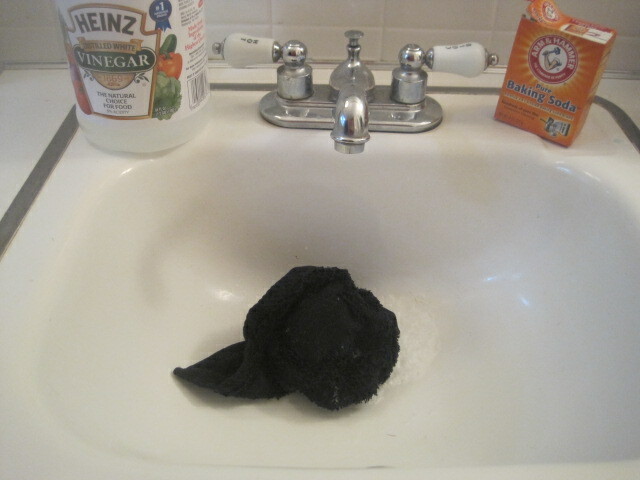 After just a few plunges, more disgusting (yet strangely satisfying) black gunk came up from the drain. A few more plunges and it all whisked back down. I plunged several more times with the faucet running; I plunged until the drain had spit the last of the black bits into the sink and then swallowed them again. And now the drain works perfectly. I can’t say whether the plunger alone would have done just as good a job or if the vinegar and baking soda loosened everything up so that the plunger was really effective. 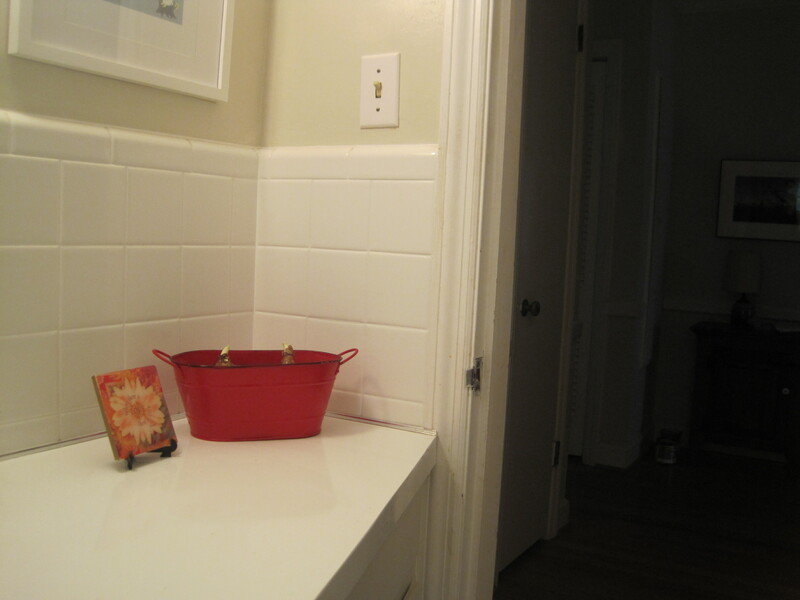 All I know is that the next time we have a sluggish drain, I’m definitely using this method again — with the plunger, of course! 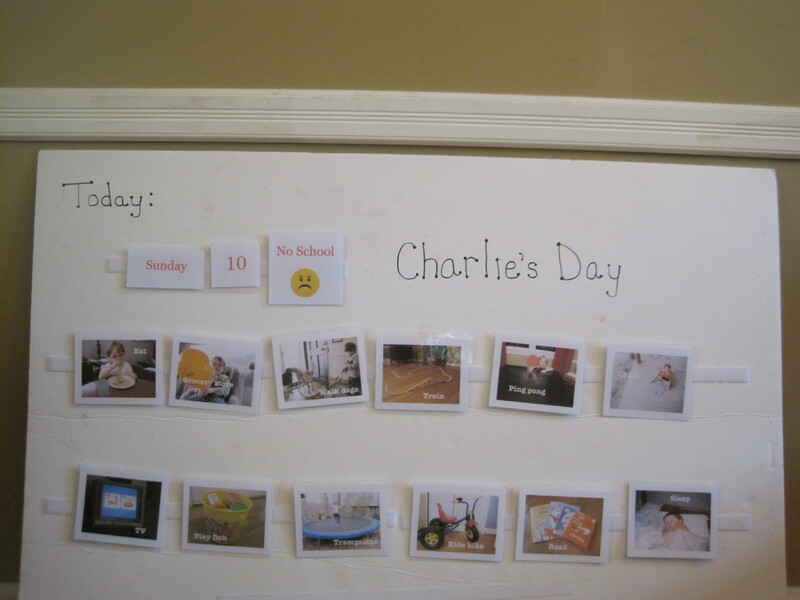 My house is filled with someday-I’ll-get-to-it tasks that I manage to put off for an incredible amount of time. 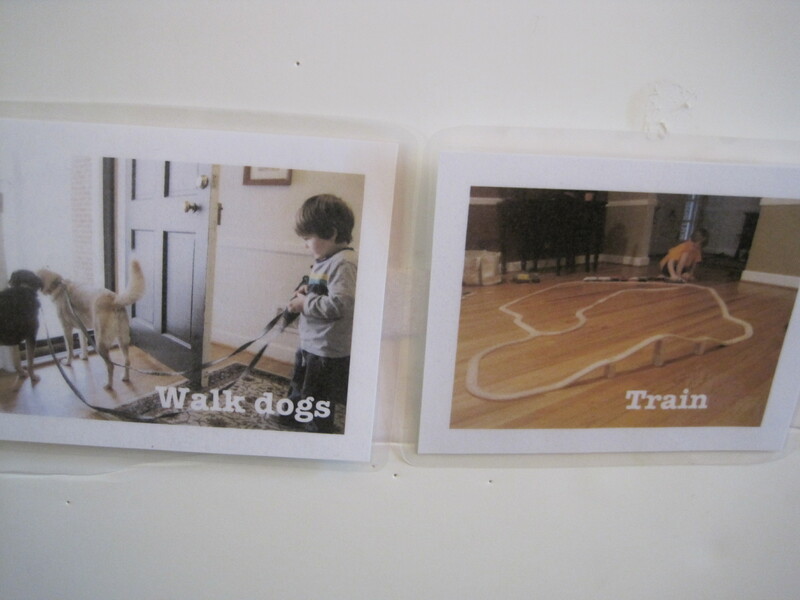 Many of the tasks aren’t even difficult or time consuming. In early spring I bought a new shower curtain for our bathroom. It was an impulse purchase — I’d never much liked the shower curtain we had and this new one was on sale at a charity benefit for just $5. 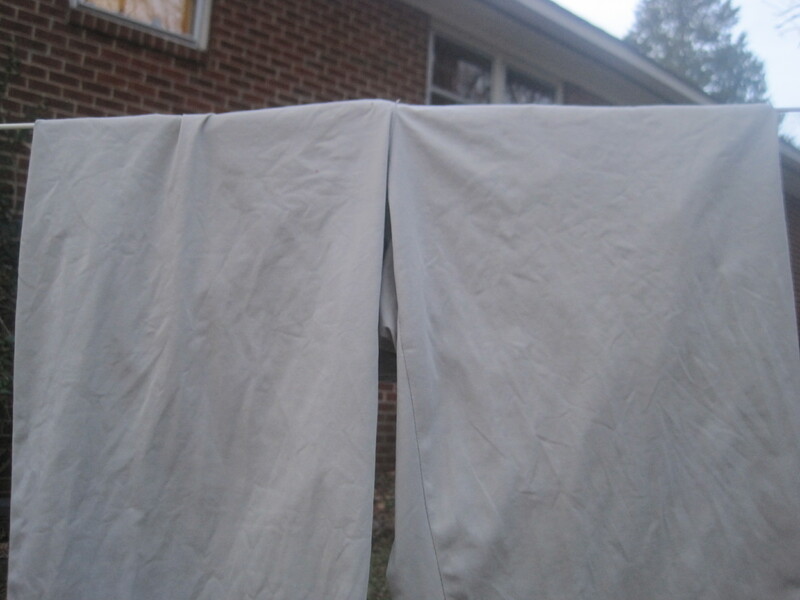 I thought I’d hang the new curtain right away, but after I got home I looked at our vinyl shower curtain liner, noted that it needed a good scrubbing, and thought that I shouldn’t bother replacing the cloth shower curtain until I was ready to clean the liner. And then days turned into weeks and weeks into months. No new shower curtain, and even more disgusting liner. 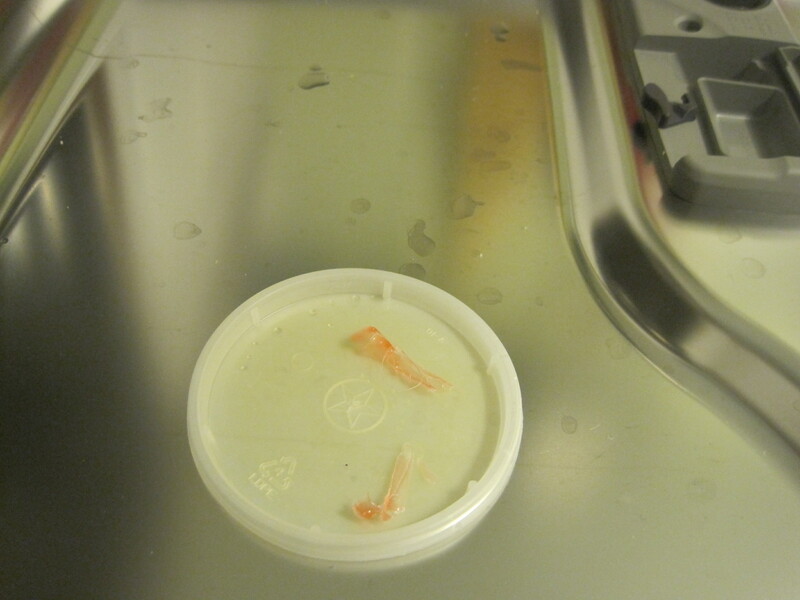 The liner had lots of soap scum and some mold. Yuckity, yuck, yuck. 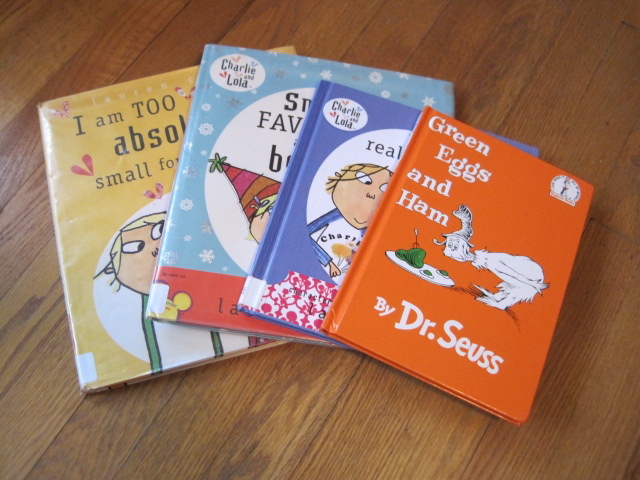 I took advantage of this past holiday weekend and decided to tackle a couple of someday-I’ll-get-to-it projects. The shower curtain and liner were at the top of the list. 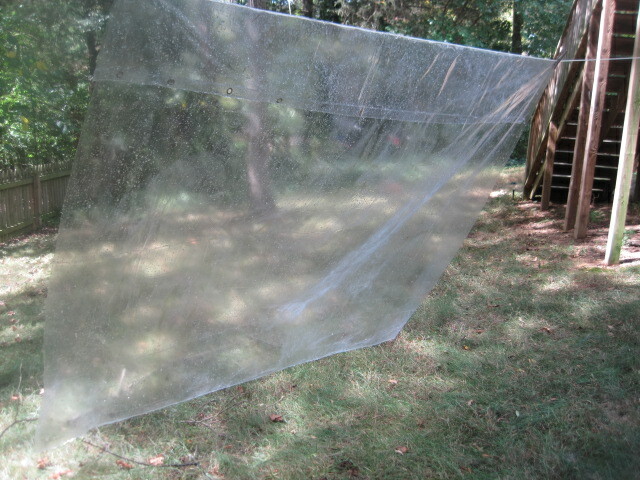 I removed the old cloth curtain and liner and brought the liner outside to lay flat to clean. I hosed it down and went to work scrubbing it with a sponge and some distilled white vinegar that I put in a spray bottle. I’ve been trying to use less toxic cleaners in our house, so as I finish bottles of chemical cleansers, I replace them with milder options. There was a time I would have cleaned our shower curtain liner with diluted bleach, but we ran out of bleach many months ago. The vinegar works very well on mold and soap scum and I don’t have to hold my breath while using it. 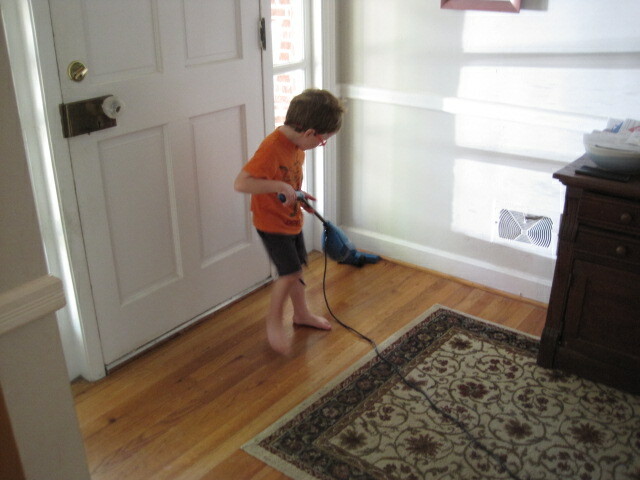 The only problem with laying the curtain on the driveway to clean was that I couldn’t easily see the mold. So I moved the whole operation to our laundry line. 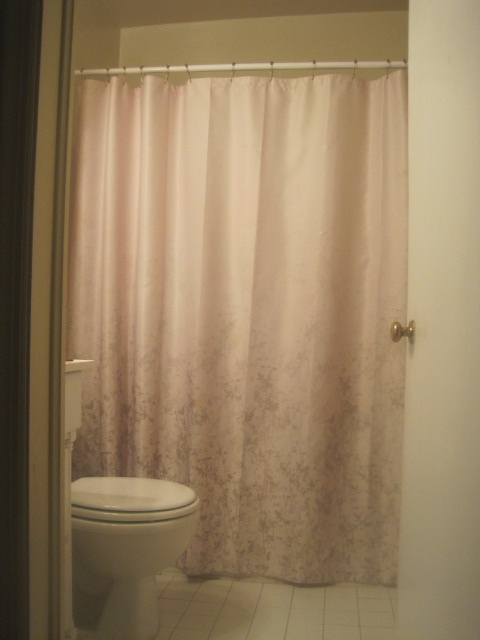 It’s amazing how much less blah the new curtain makes our bathroom (and me) feel. 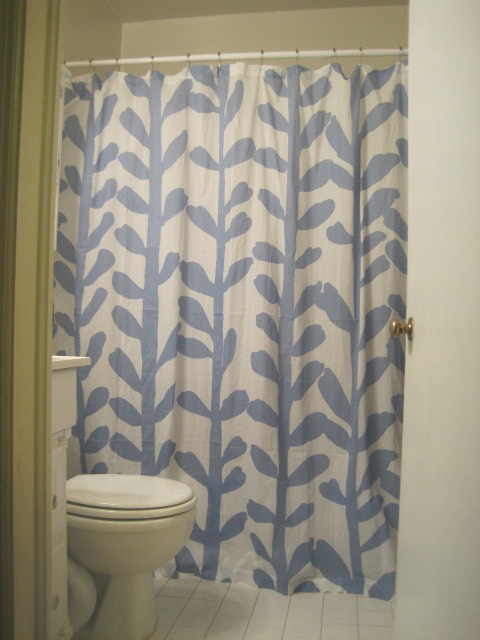 Now, if only the new curtain will inspire me to tackle more of my endless list of small projects around the house….